Cameroon is the land of prawns. 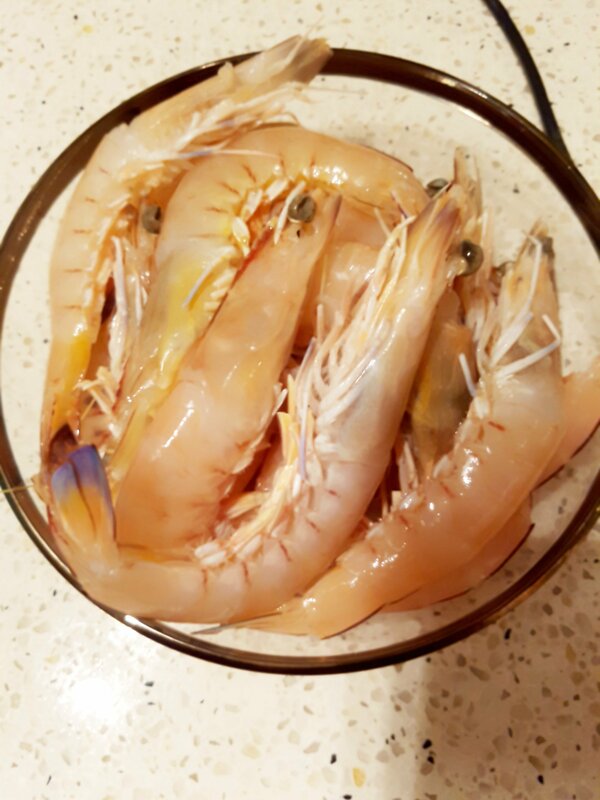 When the Portuguese first visited Cameroon in the 15th and 16th crntury, they were in awe with the amount of prawns they discovered in Cameroon. They ended up naming Cameroon ‘Rio dos Cameroes’ meaning (River of Prawns). 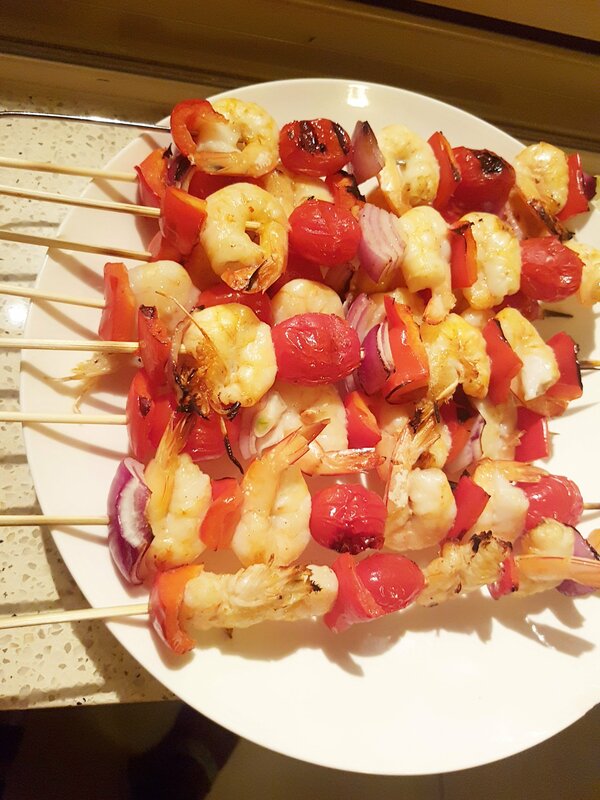 I thought of river wouri and the beautiful kribi beach in Cameroon today and decided to make some delicious Prawns BBQ. 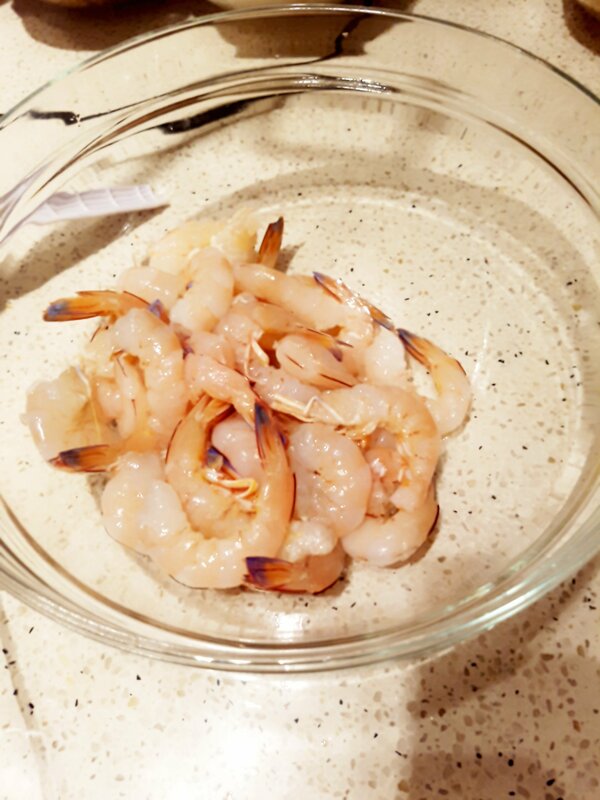 Prepare prawns by peeling , deveining and removing prawns head. Make sure you leave tail. Marinate with spices and set aside. Wash and dice capsicum and set aside. 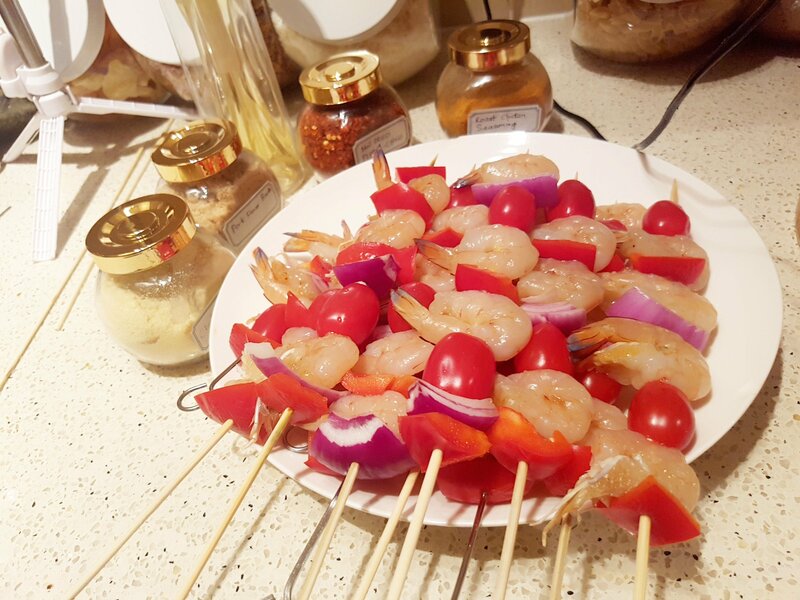 Start putting onion tomatoes, prawns into the skewers. Now prepare BBQ by spraying oil on it to prwvent sticking. 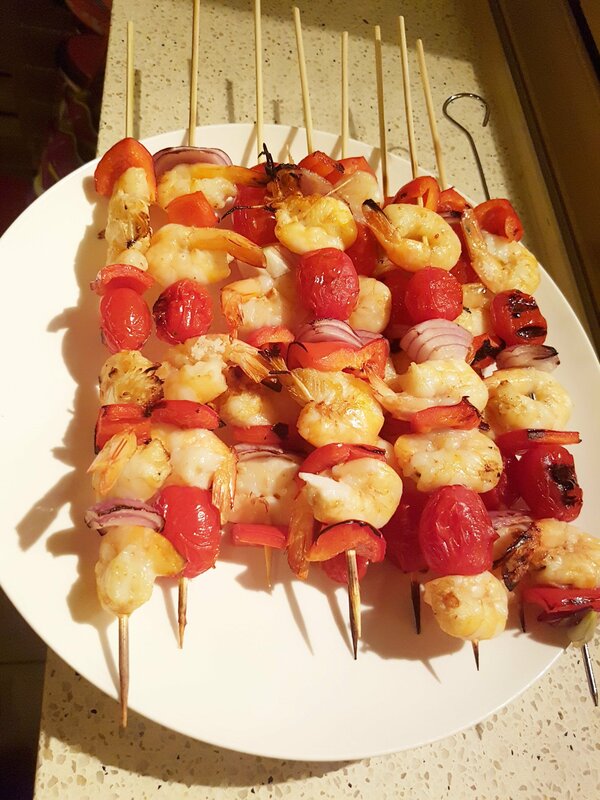 Place skewers and roast for 3 to 5 mins. 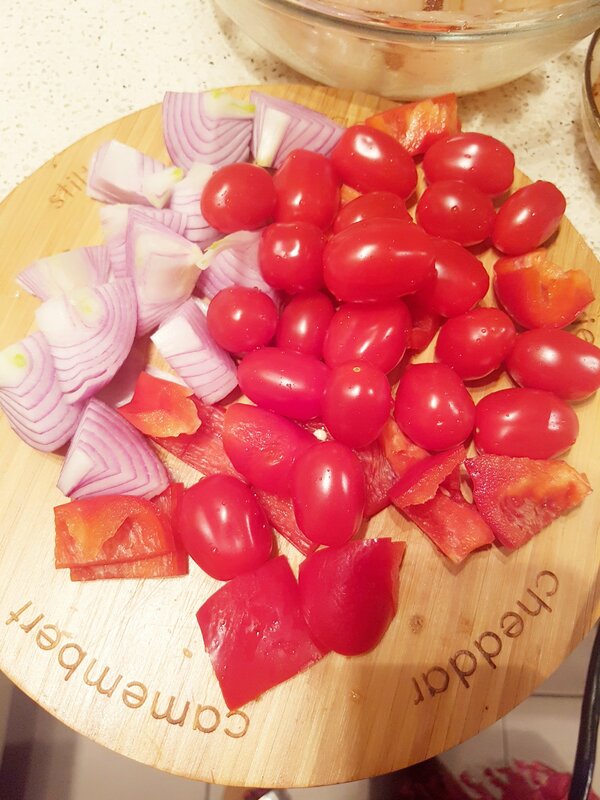 Serve with some delicious salad. 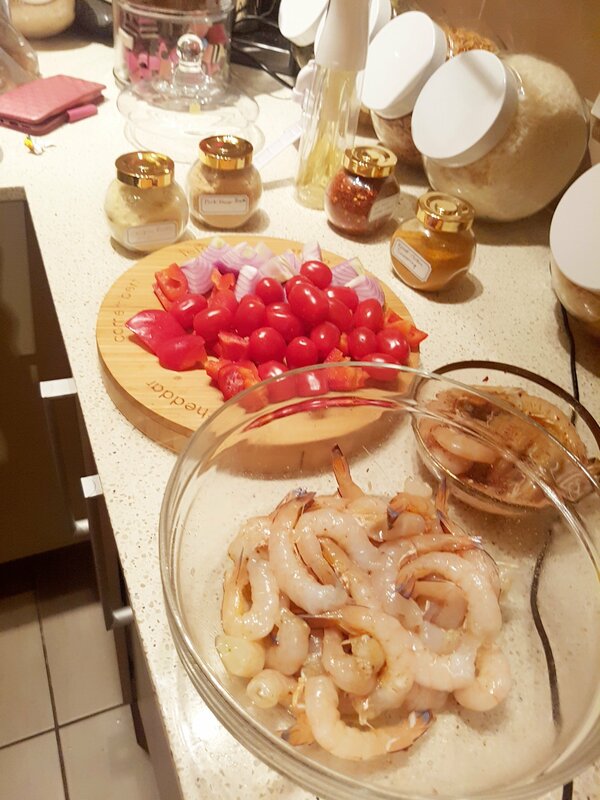 It’s your choice to choice what you will like to accompany this delicious goodness with. Enjoy ! and dont forget to comment.